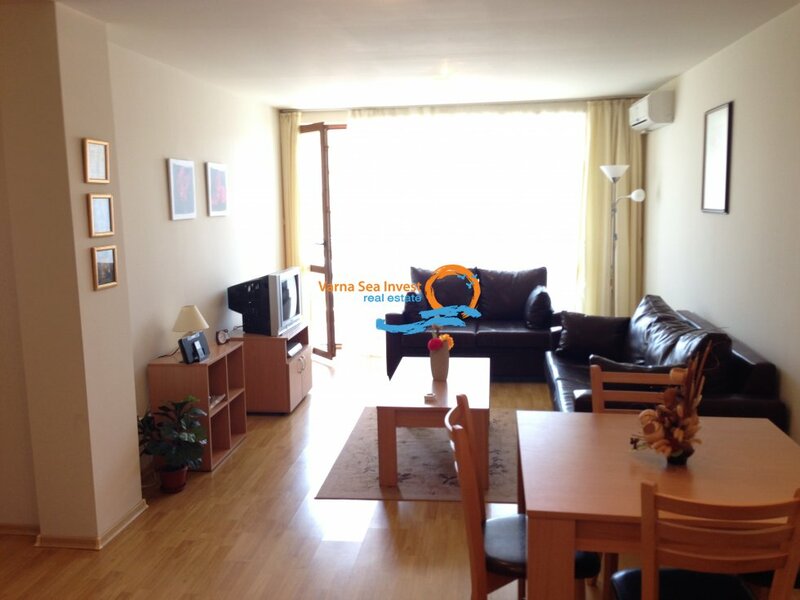 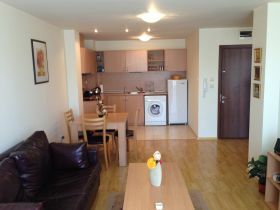 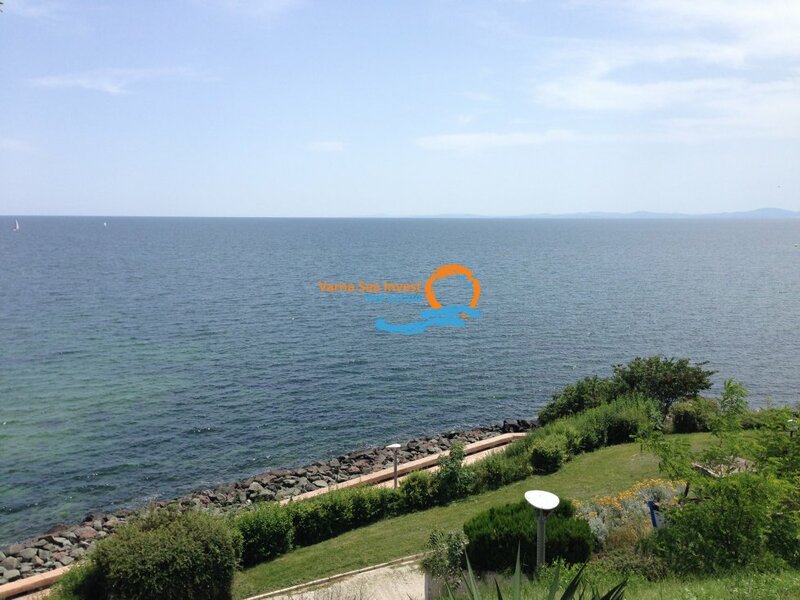 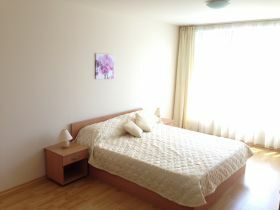 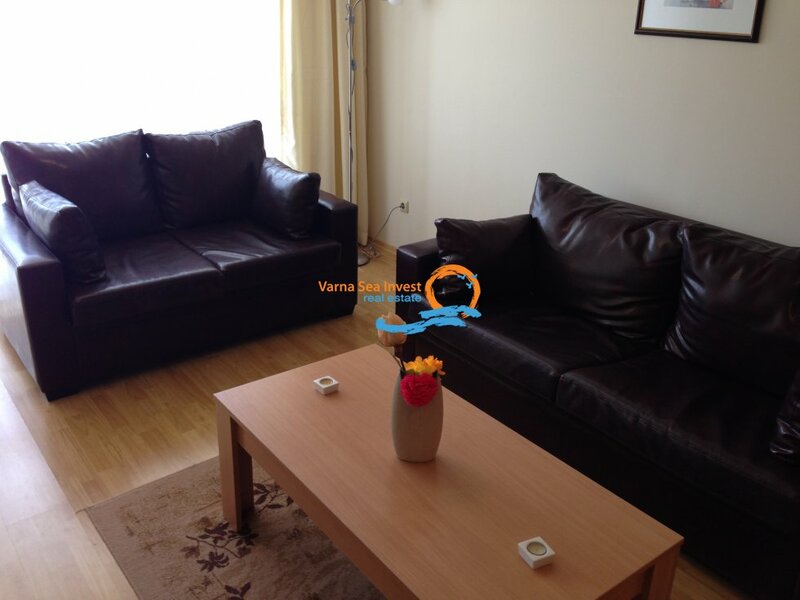 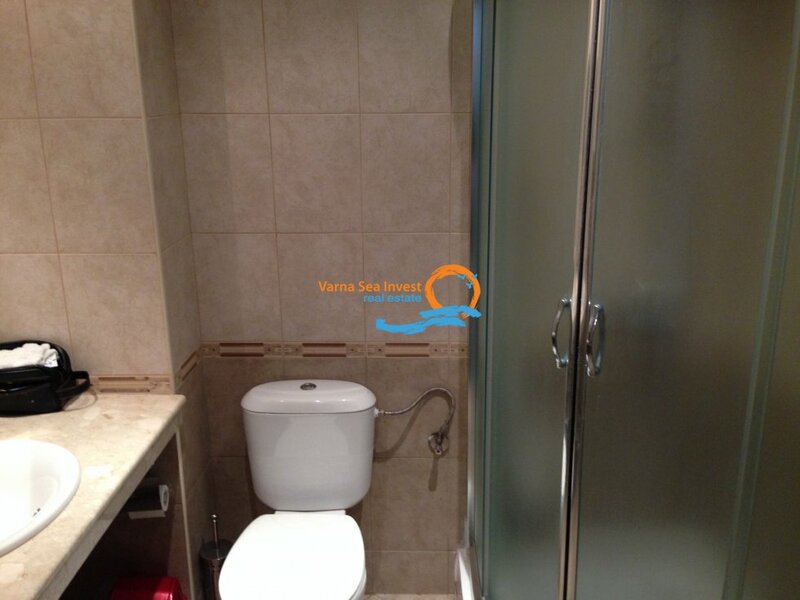 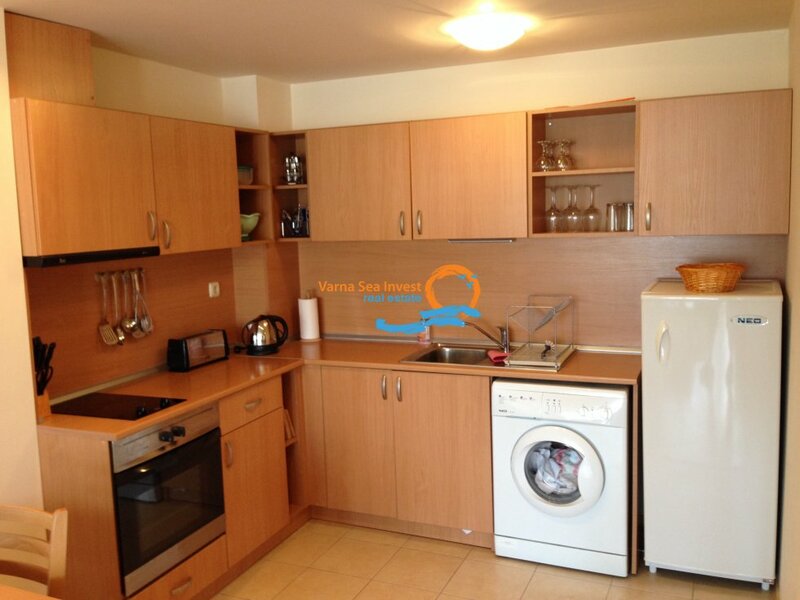 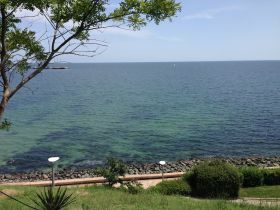 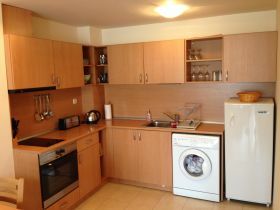 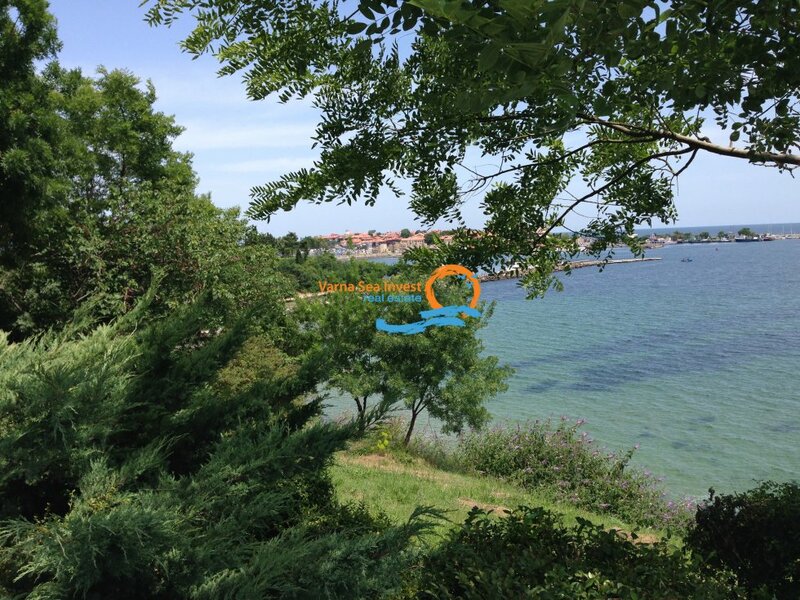 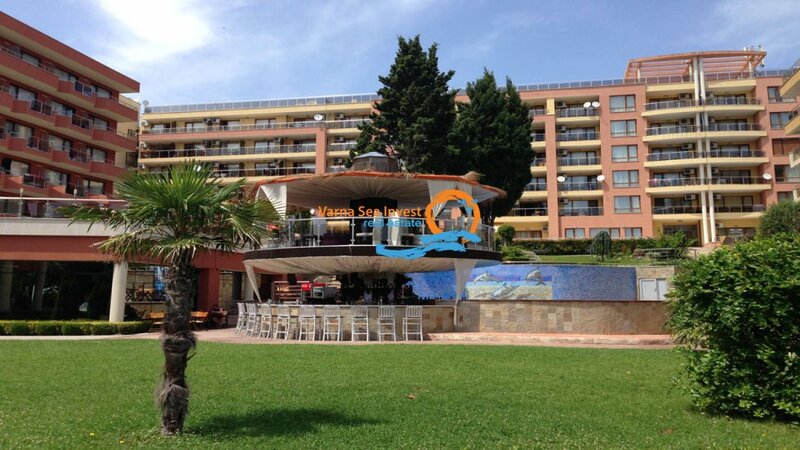 One bedroom apartment for sale on "Panorama Beach" (part of Vigo Hotel) in Nessebar, Bulgaria. 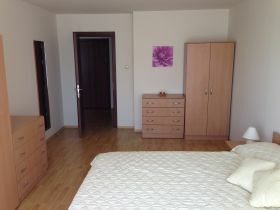 The property has size of 81 m2 and it is being sold fully furnished for an excellent price. 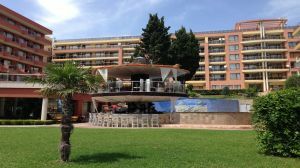 The complex "Panorama Beach" is an exclusive apartment development situated on the Hotel Vigo Complex, 500 metres from South Beach and 10 minutes from Sunny Beach, Bulgaria. 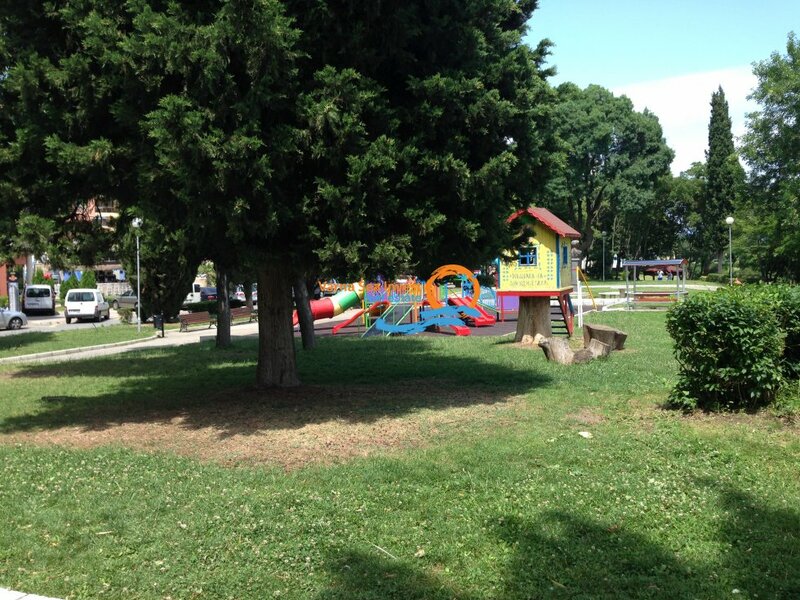 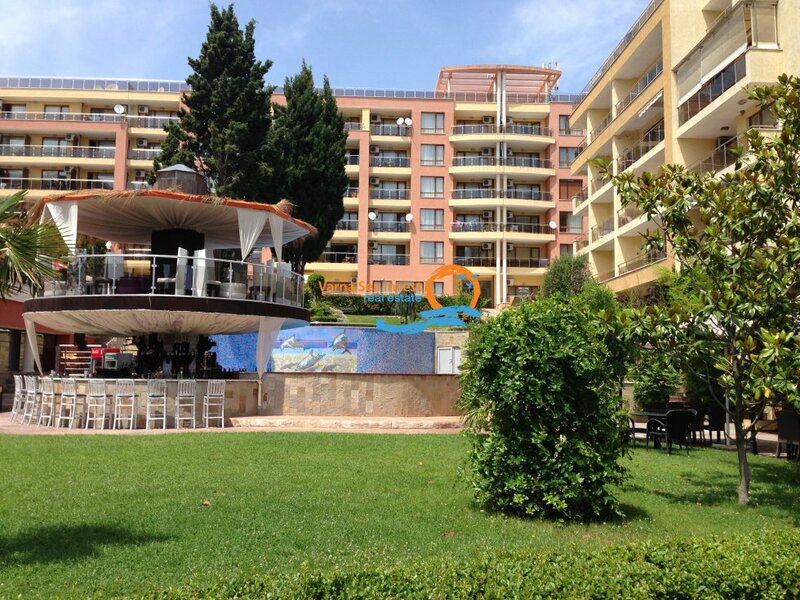 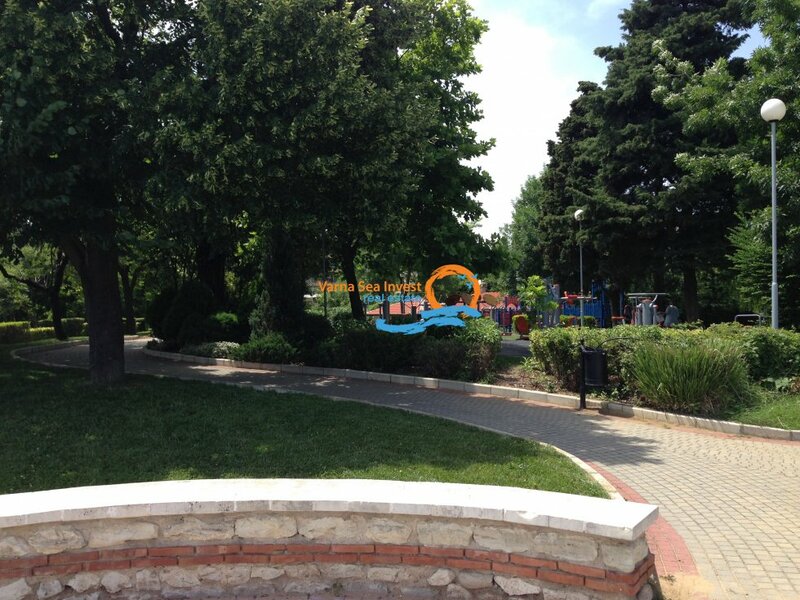 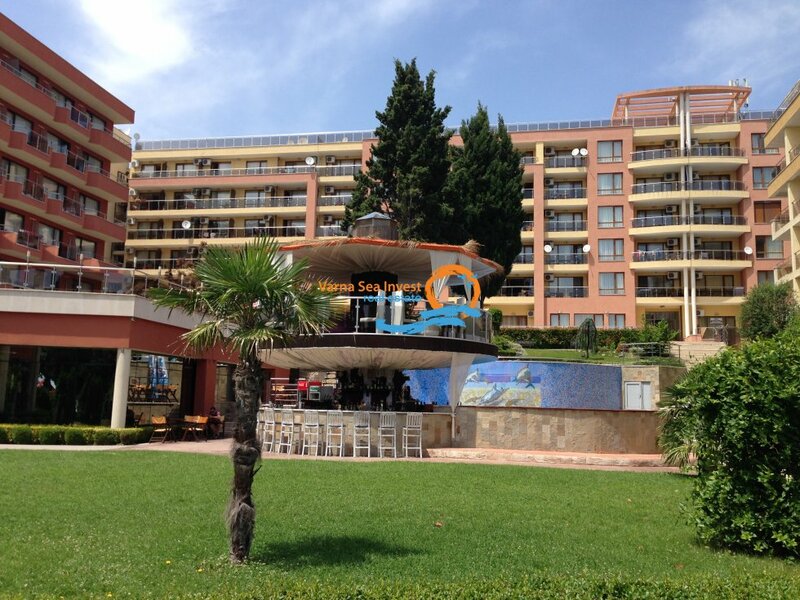 The complex is located on the South Part of the town of Nessebar, with ocean and harbour views from the pool area. 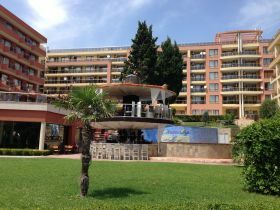 In the Complex are 300 apartments. 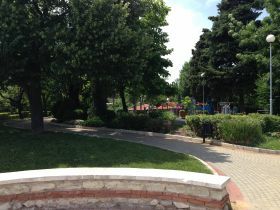 Most of them view to Nessebar cost line sea, and Old Nessebar municipality Park. 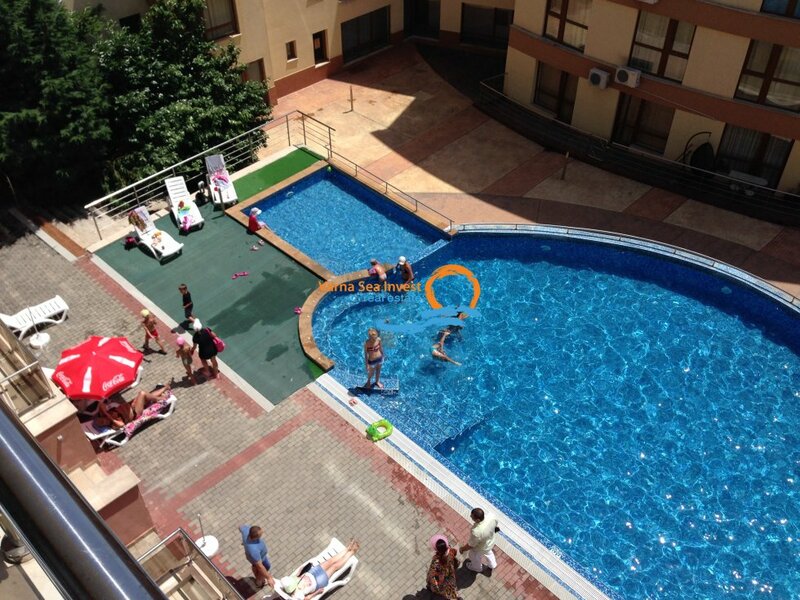 4 swimming pools, one of which is indoor. 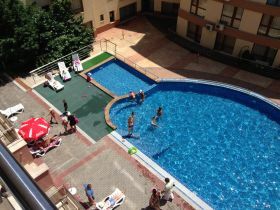 Maintenance of the swimming-pools and internal Park make your stay more carefree and comfortable. 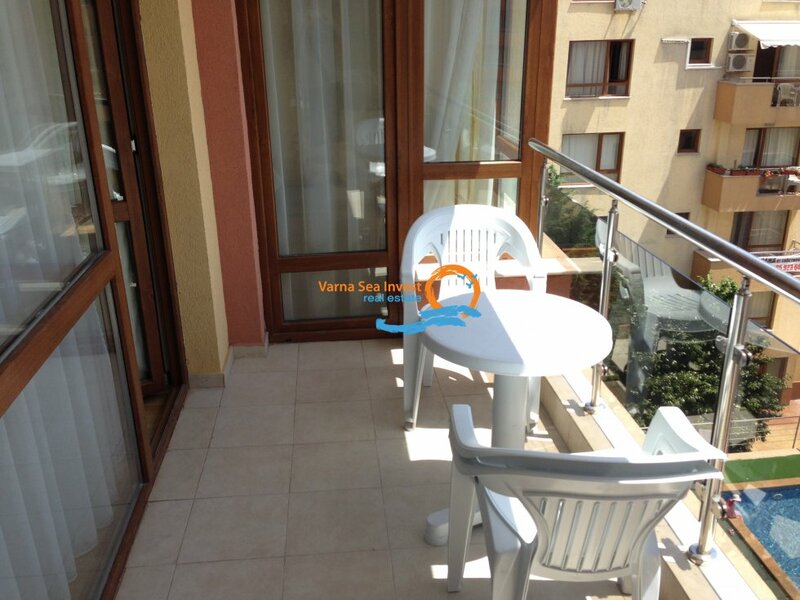 And 24 h security. 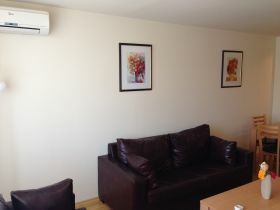 Buildings in the complex are made by hi modern constriction technology and quality constriction materials. 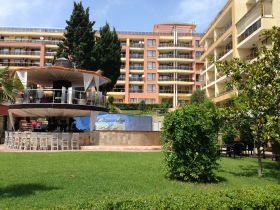 Complex Panorama Beach is a unique in his location and internal architecture.